Live Performance can be tailored to your event. Tracks or band. Stacey Whitton Summers also performs in Rat Pack shows. Photos with your guests will be a huge hit for your event! in Texas! 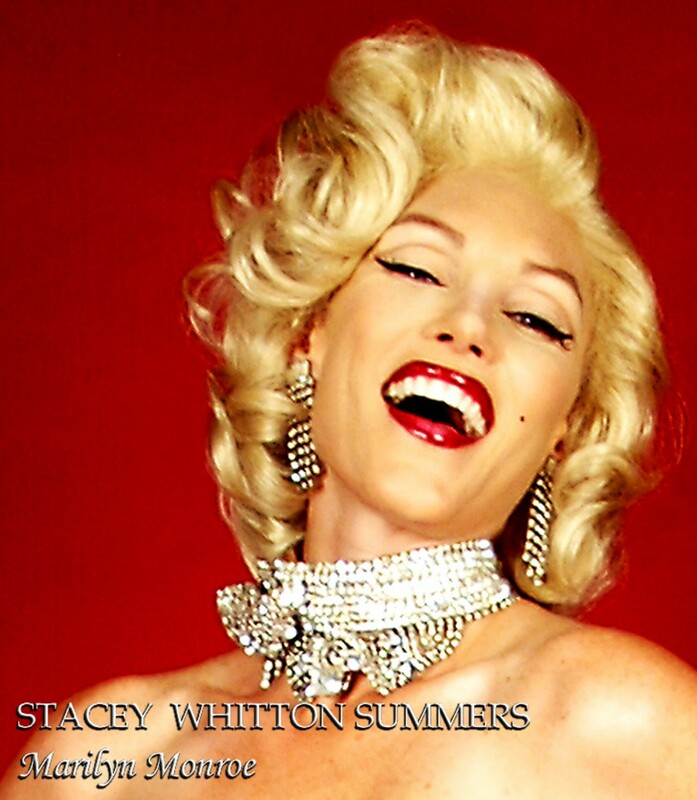 Stacey Whitton Summers specializes in hosting events as a Marilyn Monroe Impersonator and performing full musical comedy production shows with band or tracks. For over a decade she has been internationally recognized for her live stage portrayal of Marilyn Monroe in Las Vegas based show "Legends In Concert," NBC's The Next Best Thing", as well as many Fortune 500 companies events and private celebrity birthday parties. Her uncanny look, mannerisms, voice and comedic audience participation is top notch. She loves to entertain guests at parties and sing live with comedic audience participation section for Happy Birthday appearances, walk around meet and greets and photos with your guests.